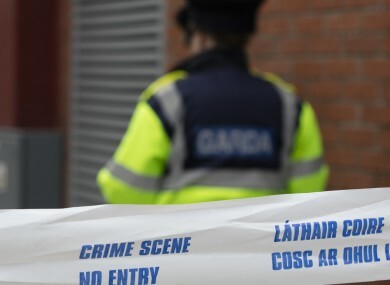 GARDAÍ INVESTIGATING THE Kinahan cartel have received information that a cache of weapons and money may have been hidden in a green area in Dublin’s commuter belt. Mechanical diggers were brought in to help with the search on land linked to a convicted criminal over the weekend following trusted intelligence received in the last two weeks. The man has a number of convictions and has been known to gardaí since he was a teenager. Gardaí believe this man may be hiding weapons and unlaundered money for the Kinahan gang in remote areas of the county. He had not been linked to the gang previously, but in recent weeks had been spotted with a senior member of the cartel. This led officers to investigate his involvement in the gang more thoroughly. The man in question also works in an industry in which large amounts of money changes hands, which raised the importance of the searches in the eyes of the gardaí. Officers still believe that the Kinahan-Hutch feud will only come to an end when either gang is wiped out. However, as the feud broadens, it is becoming difficult to ascertain who is aligned to which gang. It is understood that there are petty criminals on the peripheries of the feud who are being offered money to join either side. Officers still believe the Kinahan cartel is preparing a revenge attack for the murder of Michael Keogh. He was shot dead on Sheridan Court off Dorset Street in the north inner city at the end of last month. While gardaí stopped what they believe was an murder attempt on a member of the Hutch gang two weeks ago, there are fears that another attack is imminent. Email “Gardaí dig on Dublin's commuter belt land for Kinahan money and guns”. Feedback on “Gardaí dig on Dublin's commuter belt land for Kinahan money and guns”.